While we may be waiting another few years for a proper Justice League movie to make its way to audiences, DC Entertainment is looking to the small screen for the team’s next adventure. DC and Warner Bros. have teamed up with the online network Machinima for a brand new shortform series that will lead up to the original animated film Justice League: Gods and Monsters. If you’re assuming the word “monsters” in the title implies this new project is going to be darker than your average comic book tale, you’re correct. Machinima’s series will be a three-parter called Justice League: Gods and Monsters Chronicles. It will take place in what the press release calls “a newly conceived reality in the DC Universe where Justice League members Superman, Batman and Wonder Woman are much darker versions of the Super Heroes that people think they know.” I think I know that most superhero material skews dark these days anyway, so how can this be much different? Maybe that means these characters are just straight-up homicidal maniacs in this universe. It’s not like anyone is going to stop them from doing whatever they want anyway. 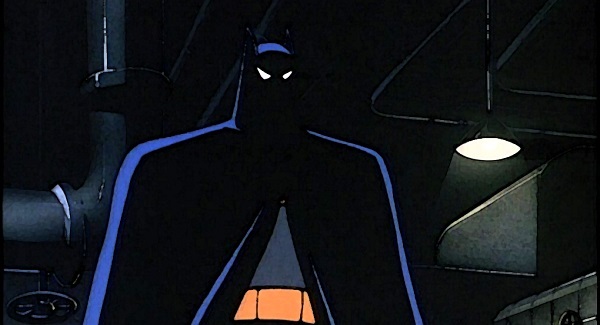 Luckily, the series is being spearheaded by producers Bruce Timm and Alan Burnett, both of whom worked on the arguably perfect series Batman: The Animated Series and Superman: The Animated Series. They also worked on Batman Beyond and executive produced much of the straight-to-DVD animated films that DC has released over the years. It’s a no-brainer that they’d be involved on some level, but I’m really hoping their creative input is what’s driving both Justice League: Gods and Monsters Chronicles and its longform follow-up. If David Goyer stays all the way away from this, that’d be okay. This is the first project to be birthed from the huge investment that Warner Bros. put into Machinima earlier this year. And what better way to kick things off than with three of the most celebrated heroes in DC’s annals? 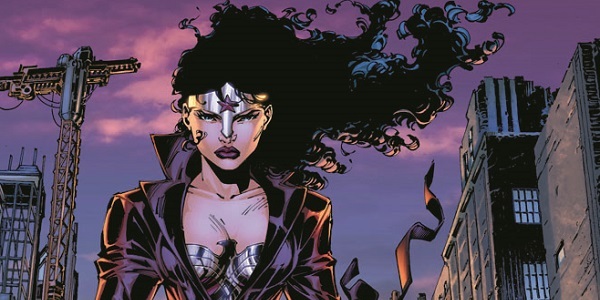 It’s awesome that they’re putting Wonder Woman in the mix, as comic book fare is always in need of more femininity. It’s still a shame that she has to be the go-to hero since she’s pretty much the only woman, but at least she’s a badass. I can’t wait to see how much darkness she brings to the invisible table. Expect the first episodes of Justice League: Gods and Monsters Chronicles to hit Machinima in Spring 2015, still around a year before Zack Snyder’s Batman v Superman: Dawn of Justice hits theaters.